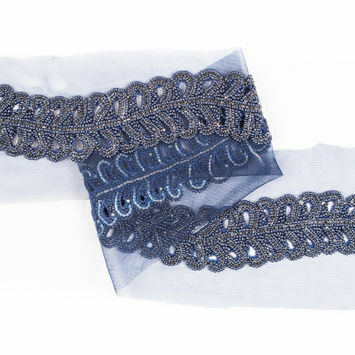 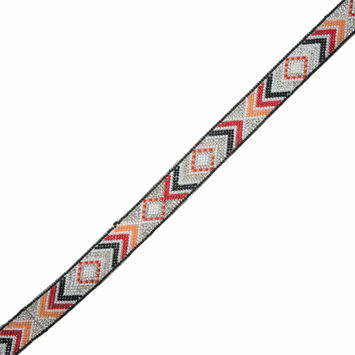 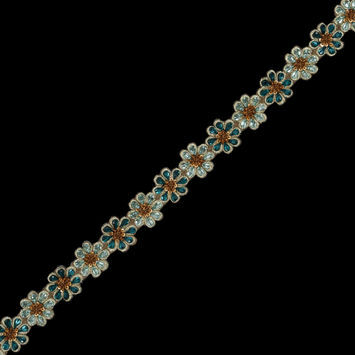 Beaded Trim is a simple way to add intricate design and style to any ensemble. 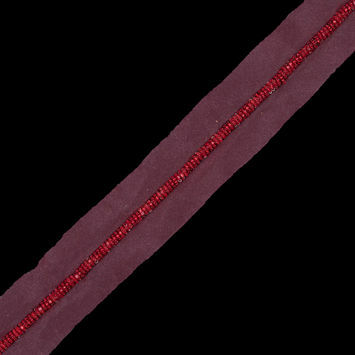 Beading involves incorporating a variety of beads onto fabric, which gives it a 3-dimensional depth. 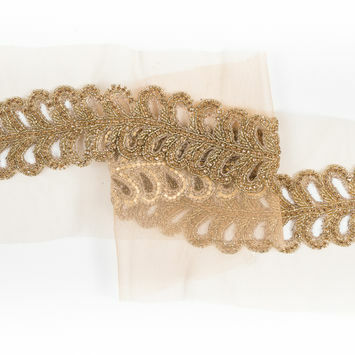 A form of art, beading dates back to 18th century France where seed beads were used to add decoration to garments. 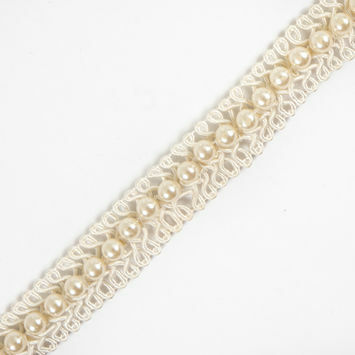 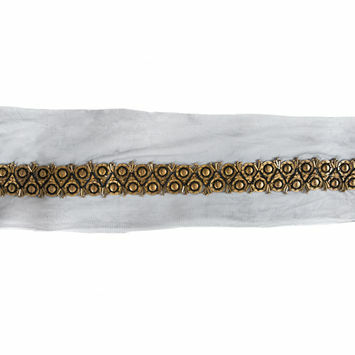 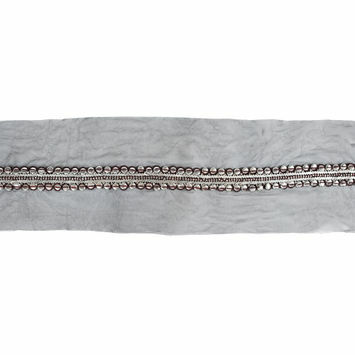 Add elegance to dresses or create elaborate accessories like necklaces and headbands with beaded trim. 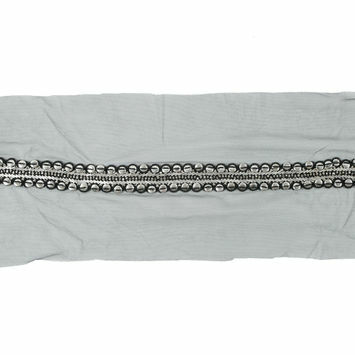 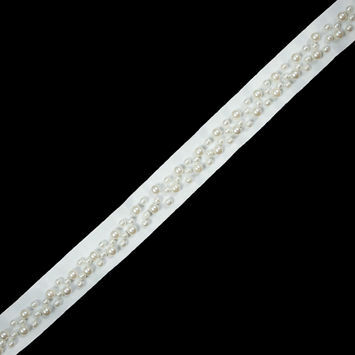 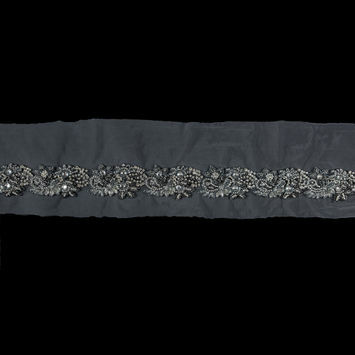 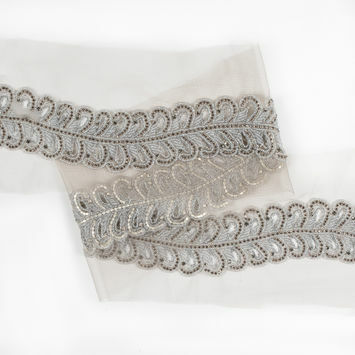 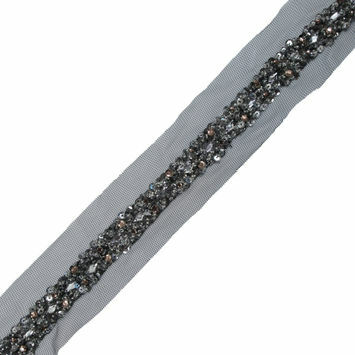 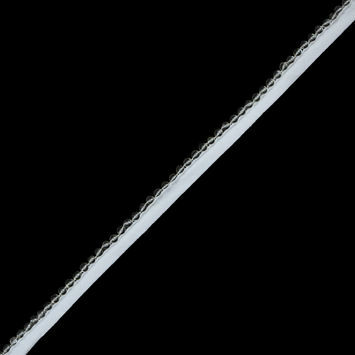 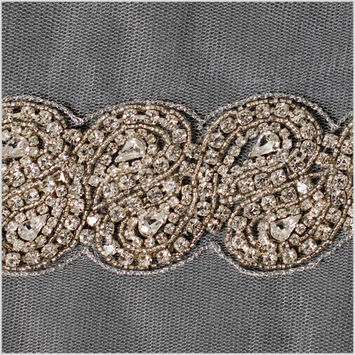 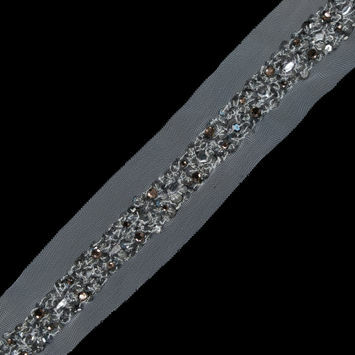 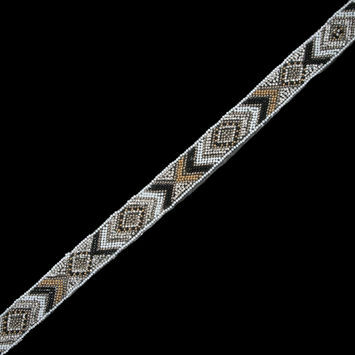 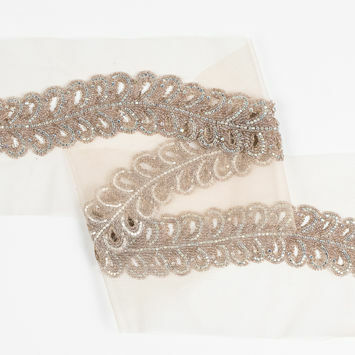 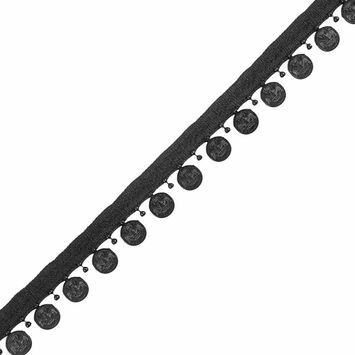 White Grosgrain & White Pearl Beaded Trim - 1.25"
Brown Oragnza Beaded Trim - 1.25"
Blue-Gray Iridescent Plastic Pearl Trim - 0.125"
Black and Silver Fancy Beaded Trim - 0.75"
Clear Beaded Trim with a White Lip - 1.5"
Black and Silver Fancy Beaded Metal Trim - 1.5"
Black Beaded Coin Trim with Lip - 1"
Black and Silver Beaded Trim with Lip - 1/2"
Red Fancy Beaded Trim with Organza Backing - 0.25"
Black Beaded Trim with Lip - 1/2"
Gold/Silver Beaded Trim - 1"
Ivory Braided Cord w/ Pearls - 1"
Black/Silver Beaded Trim - 0.25"